Charles Joseph Minard's map of World immigration (French), from 1862. This map isn't part of any series, but we have other thematic maps that you might want to check out. 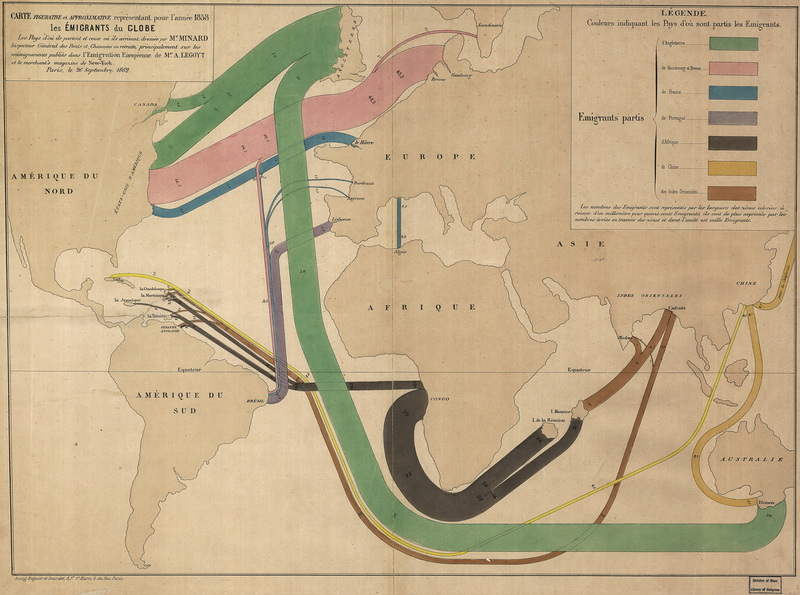 Beautiful and quite brilliant map of world migration by Charles Joseph Minard. 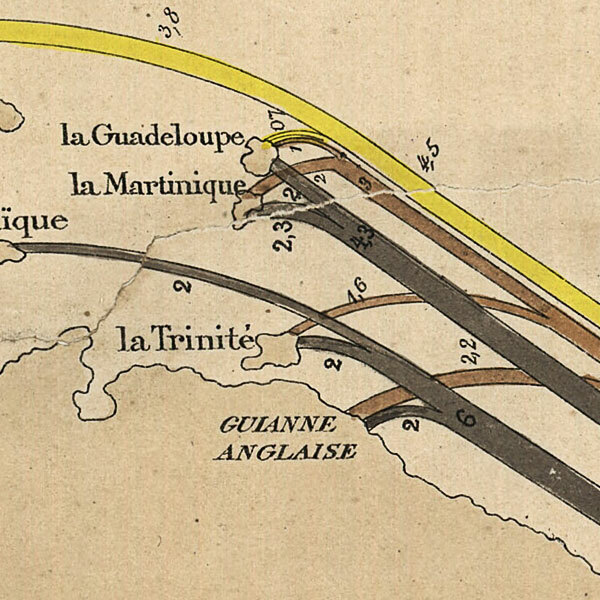 If the map is looking familiar to you, and you're having trouble placing it, I'll point out that Minard is the guy who made that one image that Tufte's been going on and on about forever.